Ninety-nine percent of all professional brewers started out as homebrewers. For me, it was a weird desire to tinker over a boiling pot of wort in my one bedroom apartment back in 1995. Many of my friends and family at the time would scratch their heads and wonder why. I rambled on and on about beer like a televangelist trying to convert souls. Some would claim that still goes on to this day. Any-who, the most unsettling part about being a born-again brewer was the fact that my local homebrew shop didn’t share my enthusiasm. They acted as if I was merely buying a loaf of bread and pack of smokes. I tried to talk about ideas and product but they didn’t seem too interested. Maybe it was them or the fact that they were staring at a wild-eyed maniac shouting about a smoked IPA doppelbock. Oh, well! Fast forward to my professional brewing days, I never forgot where I started. When I first moved out to Virginia, I swung by Hampton Roads’ premiere homebrew shop. Homebrew USA is a beer nerd’s dream come true. I could go on and on about the amazing variety that they have but it’s better if you experience it for yourself. The best part of the store is easily the people. These guys speak beer. They are as enthusiastic with the beginner as they are with a seasoned pro. 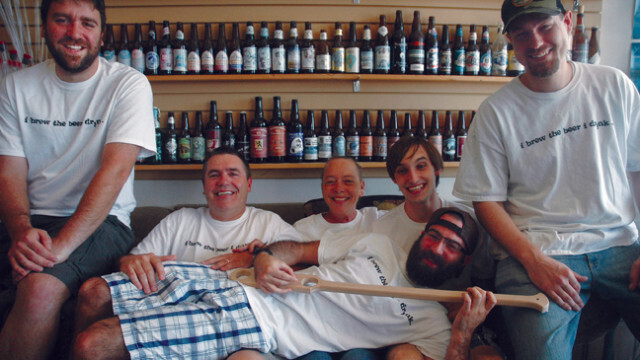 After traveling around the world with the Navy, Neal and Elizabeth Erschens decided to buy an existing homebrew shop back in 2007. 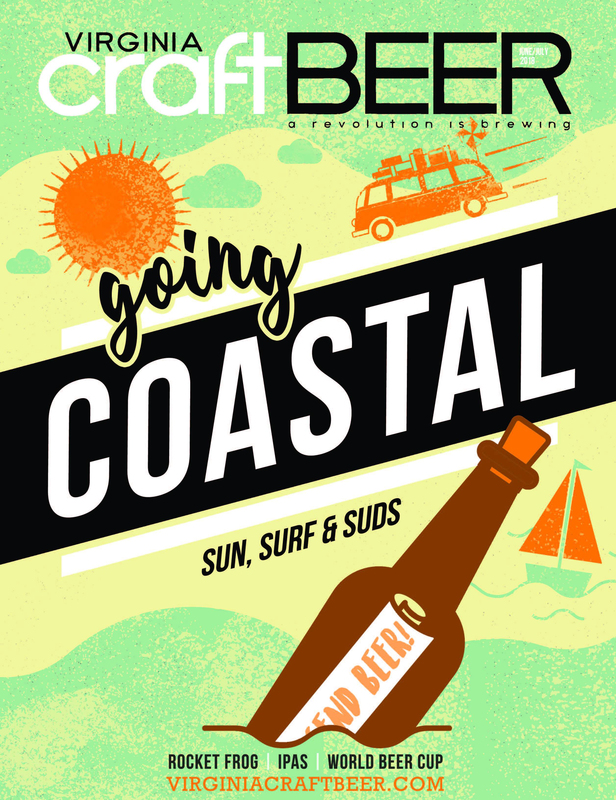 Back then, local businesses weren’t exactly knocking down doors to get craft beers. The Southside sported zero breweries and one brewpub. Nonetheless, they took a chance and rebuilt the old store. In my book, I would consider them pioneers in the 757. Contrary to the norm, Elizabeth was the primary brewer in the household. She began 25 years ago when she lived in Philadelphia. Shortly after arriving to the city, she began to visit a “broom closet” sized homebrew shop called Home Sweet Homebrew. Mixing malts, hops and water profiles were her passion. She still insists that it was her idea to open the store. Neal merely nodded and quickly raised his shoulders in agreement. 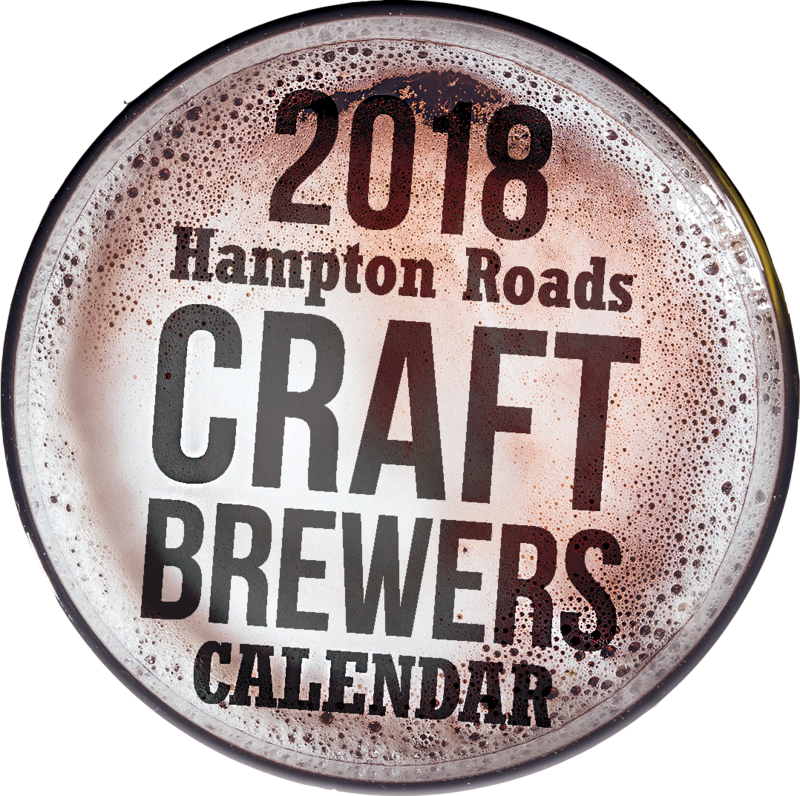 Joined by their son, Vaughn, and a motley crew of experienced homebrewers, Homebrew USA has two locations – Norfolk and Hampton. So for many homebrewers, or soon to be brewers, that might be reading this, one question is always quickly on their lips: Why shouldn’t I just buy my stuff online? Well that’s easy. Will an online shop help you modify the local water supply to make a classic Czechoslovakian Pilsner? Probably not! Does an online store support local brewing clubs/events? Definitely not. Has an online store ever helped open every single local brewery in the area? Absolutely not. I can guarantee that the local beer landscape wouldn’t be anywhere as diverse if it wasn’t for these guys. I’ve personally helped open two of the area’s breweries, and Neal and Elizabeth were always there to help with anything that we needed. Need hops? They got ‘em. Need volunteers? They got ‘em. Truly wonderful people that Hampton Roads should be uber proud to call their own. So enough blubbering about people that I love and proud to call my friends, and on to beer. One of their faithful workers also happens to be an award-winning homebrewer. His beers are wonderful and he is always on staff with any technical questions from wild-eyed maniacs wondering about smoked IPA doppelbocks. Recently, Andrew Jackson (no not the 7th President of the US) dropped off a few of his selections for me to sample. Since this column is all about me getting buzzed in the middle of the day and telling my wife that this is part of my job, lets crack them open. The first is a milk stout that he brewed. Typically, milk stouts are low ABV stouts that are spiked with lactose. Since lactose (milk sugar) is tougher for yeast to metabolize, a lot of residual sugars are left over giving the beer a sweetness and bigger body. Andrew’s example is spot on. The nose is a sugary chocolate with hints of roastiness. The taste is full bodied chocolate shake with a lingering dark cocoa. I’ve been known to be very critical of homebrewed beers. A lot of technical errors exist from odd flavors to unsanitary brewing conditions. However, Andrew has shown that with a good attention to detail homebrewed beers can be as good (if not better) than some commercial ones. Beer is not the only thing that can be brewed at home. Ciders are increasing in popularity and are actually easier to brew than beer. Simply find dirty cider (unpasteurized, unfiltered cider) and add yeast. It’s that easy. Andrew calls his version the Dapple Apple. He uses cider, corn sugar and Champagne yeast for a refreshing “house drink” as he calls it. As I pour the cider into a glass, the concoction puffs up with an enormous white head that acts and smells like a premium sparking white wine. As the head receded, a pale yellow liquid is in front of me with little signs of carbonation. The nose is dry apples. The taste is initially sweet and tapers into full apple flavors and lingering sweetness. Once again, no technical flaws and something that anyone can make themselves at a fraction of the cost of store-bought. Nice Job AJ.